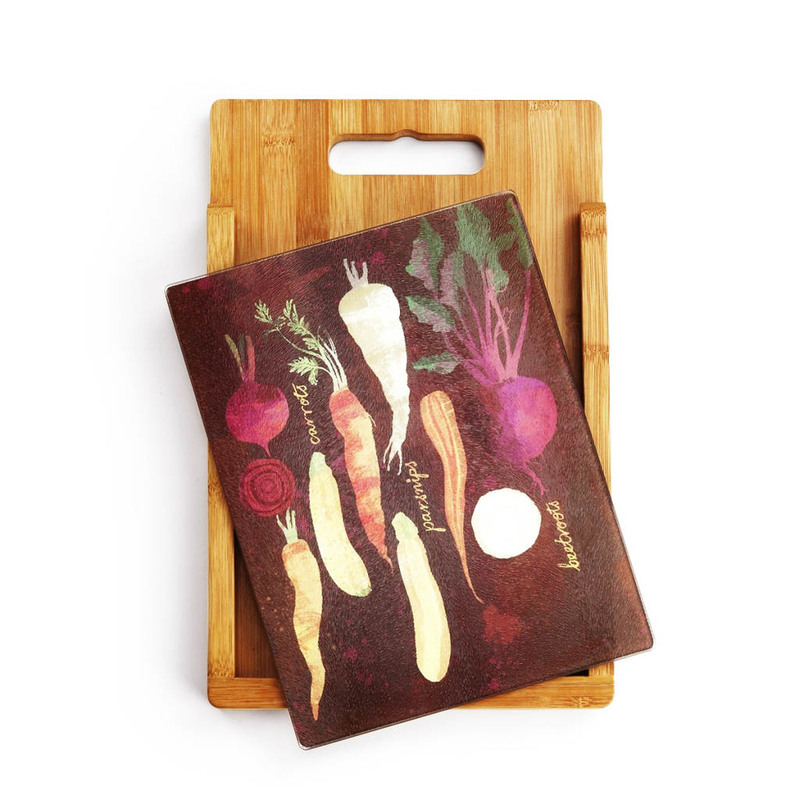 Last week I was proud to announce the launch of a cutting board set by gift manufacturer Demdaco. This particular root vegetable illustration had been found on Pinterest and rearranged to fit this product artwork. In fact this image has been referenced again and again when a new brief comes through from clients for commissioned work. Today I am pleased to announce another project has come to fruition ( pardon the pun) which again is a result of these root vegetables, first uploaded as an illustrated recipe to They Draw and Cook pinned to Pinterest. From these sketches they decided which shape best suited the layout and we proceeded to the next stage for various colour and texture treatments. These in turn where developed further to give a more 3D appearance. The separate fruit where then placed together within the glass outline (which I provided artwork for) and the smoothie (hi res photo provided by the client) Various options were considered to give the best contrast between the two fruit within each glass. And also to give the impression they were actually sitting within the liquid smoothie. I also provided the textural elements that feature at the top of each pack and can also be seen in the background of these product shots. As you can imagine I am absolutely delighted that a sketch initiated almost two years ago after finding a beetroot in my weekly vegetable box could ultimately lead to these projects. I'm very grateful to have been provided with two such wonderful and unique opportunities. It's taken a while but it sure has been worth every step! My Instagram feed features a sketch a day and work in progress.